The title of this track is ‘System Dynamics for Operations, Strategy and Policy’ (abbreviated to SD for OpStrPol). The content is particularly suitable for intermediate students of system dynamics. Particular emphasis is placed on the representation of interlocking operating policies and asset stocks required in models of firms and industries. There is in-depth treatment of asset stock coordination, information feedback and bounded rationality as a basis for understanding firm performance and dynamics. 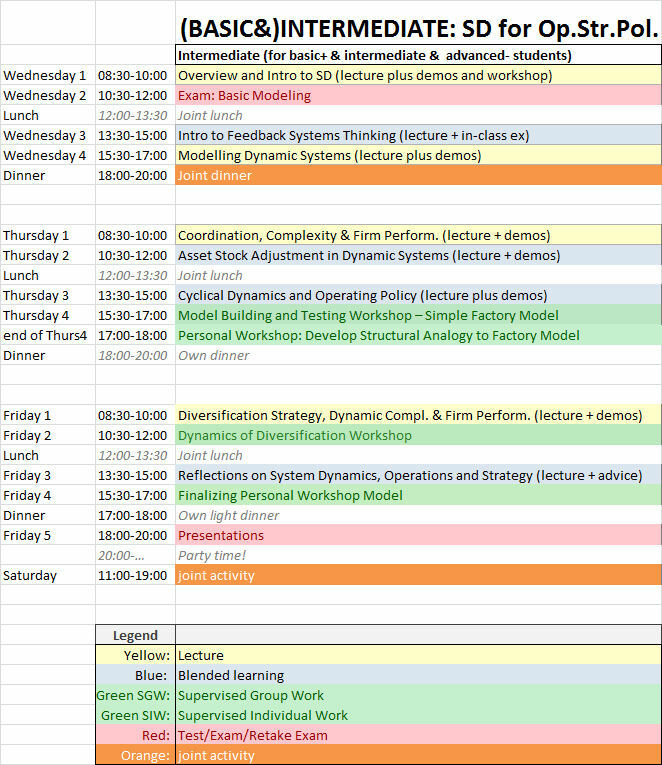 Throughout the course John Morecroft will demonstrate principles for clear (non-technical) interpretation of time charts and careful design of simulation experiments to reveal sources of dysfunctional dynamics. There is a blend of lectures, in-class demonstrations and workshops. Some of the workshops are for individuals, others involve group work. Readings include classic papers from the system dynamics literature, excerpts from John Morecroft's book (Strategic Modelling and Business Dynamics), and selected journal articles that illustrate system dynamics used for research in policy, operations and strategy. This track is particularly useful for participants that are interested in applying SD to firms and industries. The Stella/IThink software is used in this track. Download the pdf of the reading list here. If you cannot access these articles now, then note that it will be possible to download articles on campus.